Hong Kong Business Traveler's Guide: For Your First Visit to HK! 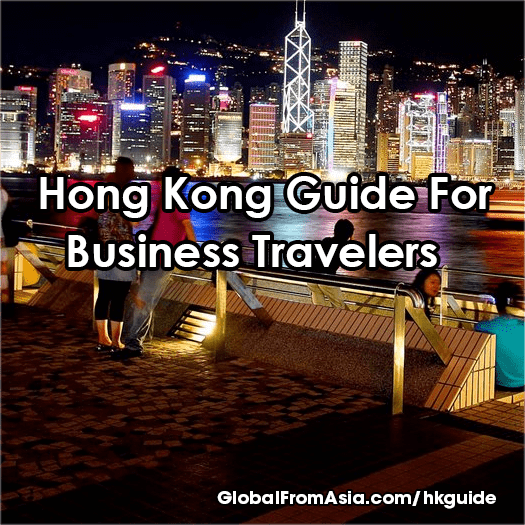 Hong Kong Business Traveler’s Guide: For Your First Visit to HK! Looking for tips on your first trip to Hong Kong? Look no further! I have been meeting readers visiting Hong Kong more and more lately, and Dimitri suggested that I make a blog for readers visiting Hong Kong for the first time on a short-term business trip. I can relate; I remember being totally confused and overwhelmed – Hong Kong was my first destination in Asia and I was scrambling around everywhere trying to figure it out. If you’re alone, i would check out central district where the banks are HSBC etc. Amazing buildings, also you can get a coffee at manderin oriental which is a super nice hotel in that area. Parks – go to hong kong park in central district. Hong Kong airport is a massive and beautiful international airport. I have friends that go there for fun! There’s a shopping mall, free fast wifi, movie theaters, and tons of restaurants–it can be a destination in itself. When you enter Hong Kong, you will need to go to through customs to enter this SAR (special administrative region). Hong Kong is an international city that welcomes people from all over the world, so most can simply enter as a tourist and receive a visa on entry (not apply for a visa). But if you read the “fine print” on your customs slip, you are not supposed to work or do business on this type of visa (don’t worry, it is kind of a catch-22 because the government wants you to open and establish a business there). But they don’t like it if you work illegally without paying taxes or receiving the proper employment visa. 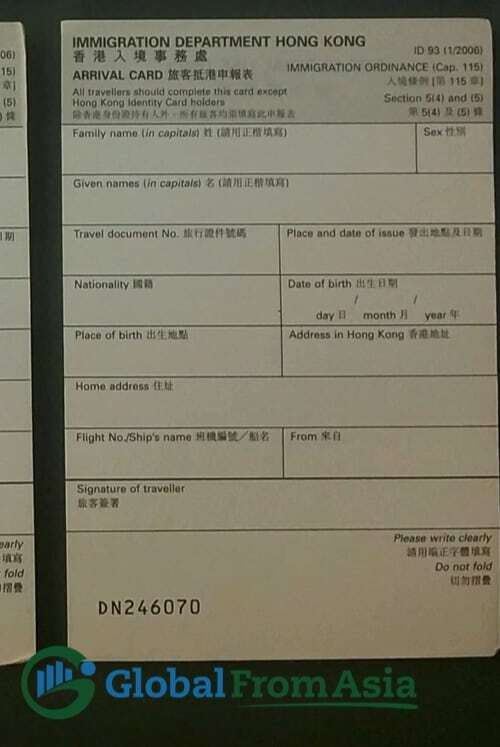 I’ve gotten requests from people who want to print out the Hong Kong customs immigration slips in advance, so I made a full page PDF here you can print out here. My buddy Andy reminded me that some people may not know that entering Hong Kong customs is different from Mainland China. For Hong Kong you generally do not need to apply and pay for a visa (US passport holders have free entry), but for Mainland China, you will need to file for a passport visa beforehand and pay a fee. It has also been getting more difficult and more expensive, so please keep this in mind. You can also apply for a Chinese visa in Hong Kong, so if you are reading this while you are already in Hong Kong, it is possible, but will take at least 24 hours to process (in a rush job). 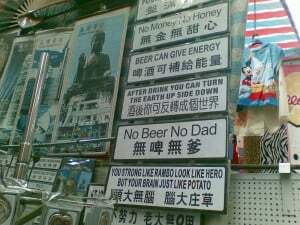 This saved me on my first trip to Hong Kong in September 2007 (and it’s still there today). I had my university friends in Hong Kong waiting to pick me up, and they gave me their local Hong Kong number to call when I arrived. There are free phones in the airport. It is important to note these free phones are only available before you leave customs. Once you go into the general airport terminal, there are no longer free phones. My guess is because the general public can enter that part of the airport and some people may take advantage of these free phones without being a passenger. If you are meeting people in Hong Kong, get their local phone number and call them free at the airport. You will also need to coordinate at which arrival hall to meet. There is arrival hall A and arrival hall B, and they can stand right by the exit of either of these and see you as you exit. There is even a camera they can watch to see you walking down the hall before you exit (kind of creepy, but pretty efficient!). The most convenient way to get from the airport to your hotel is the Airport Express. The cost is 100 HKD (approximately $13 USD) for a one-way ticket to downtown Hong Kong. It also has stops in Tsing Yi and Kowloon, so check with your hotel for which stop is best for you. I often pay this fee by credit card, which isn’t a problem–just need to buy it at the service counter. It isn’t 24 hours, it runs from 6 am to just past midnight every day. It takes 24 minutes from the airport to Hong Kong city, but if you’re going to the other destinations, the fee is a bit less and it’s a bit shorter distance. As rates and other details may change, here is a link to the Hong Kong airport express to confirm pricing. Pro Tip: When leaving Hong Kong, you can check in up to 24 hours prior to departure, so this can help with luggage handling if you want to have a night out on the town after checking out of your hotel and before leaving. As we live in an internet world, getting mobile data upon arrival is critical. We are addicted to our emails and WhatsApp, don’t lie! Here are some ideas to get you up and running online as soon as possible in Hong Kong. T-Mobile international roaming has been amazing lately! You may want to look into it; it is free unlimited roaming on plans that are only about $50 USD per month. As the world becomes “flat,” telecommunications companies seem to be lowering the roaming charges more and more, so you may want to consider just roaming on your home SIM card. Be careful; some carriers charge $1 USD or more per megabyte for international roaming, so just be sure to check it out before you arrive in Hong Kong. You most likely won’t use this for local phone calls, or at least local Hong Kong people won’t really want to call your USA number as they will have to incur international charges. Most likely your local SIM in Hong Kong won’t allow you to make international calls, or the rate will be through the roof. To make international calls while on the road, I use Spaxtel callback service, which requires just 1 second or so of mobile data in their mobile app and then rings back your local Hong Kong number and then dials out internationally. You can use this in multiple countries and the rates are the same or better than Skype and you don’t need a constant internet connection. Definitely recommend trying it out. Even if you get the above international roaming deal to work out for you, you still will probably want at least a local number for local calls and emergencies. You may then want to carry two phones, one with your home country number, and another with your Hong Kong number. If you want to use your own phone, just make sure the phone is unlocked or buy/bring second phone like a cheap old Nokia (third world phones are what my friends and I nickname it). You may just carry that with you when you are out at a bar or restaurant as a backup phone. If you don’t have a second phone, Hong Kong is a great place to pick one up. There is a massive electronics market just outside of Wan Chai MTR exit A4 on the second floor on the building to your left. You can get a Nokia phone there for about 200 HKD or less (approximately 26 USD). Now for the decision of which SIM card to get. There are a few mobile carriers in Hong Kong and rates and plans do change on a regular basis, let me run down a few of the choices. SIM cost: 78 HKD, for 100% credit for usage. you can buy the SIM card and reload at any 7-Eleven; there is one right on the airport arrivals lounge. Where to buy: The 1010 store is in the Hong Kong Airport Terminal 1, Departures Check-in Hall, Level 7, 7:00 am – 11:00 pm, +852 2261 0812 or 7–Eleven. Money rules everything. When you land in Hong Kong, you will need to get some cash out for taxis and restaurants, but a lot of the time you can get away with using your credit card. Be sure to check with your credit card company about the rules they have with foreign transactions. Some often charge a fixed fee and a high percentage transaction fee for the currency exchange. Others are pretty good about it. The Hong Kong dollar (HKD) is fixed to the US dollar for the most part at around 7.8, so I usually divide everything roughly by 8 to calculate the US dollar amount. For those aware, the US dollar has been dropping a lot over the years, so this makes prices in Hong Kong lower than in Mainland China as they have a different currency, Chinese Yuan, that has been appreciating steadily against the US dollar. Being a first-time visitor you may not have a local Hong Kong bank; you will, therefore, have to accept international bank ATM fees which are normally about 5 USD. This is possibly on both your bank’s side as well as the bank you are using in Hong Kong, so check with your bank in your home country before traveling. Now that I have my HSBC account, I just use that when in Hong Kong. Also Hang Seng bank and HSBC have a strategic alliance (HSBC is a major shareholder of Hang Seng), so there isn’t an ATM fee between these two banks in Hong Kong. I used to use the Bank of America and China Construction Bank (CCB) benefit to withdraw money from my Bank of America account from CCB without any fees or currency charges, but I believe that deal is over. If you know of other deals, I’d appreciate comments with suggestions for others to learn from. Hong Kong is a hyperactive city with so many things to do. You may want to jump straight into a business meeting on landing and need a place to keep your stuff before going to your hotel. If you’re in a rush and not near your hotel, there are lockers and storage options in the airport as well as in stations such as the Macau Ferry terminal. Ferry Terminals: There are quite a few ferry terminals throughout Hong Kong, and they are your best bet for cheaper lockers. I have stashed my bags at the Macau Ferry terminal for about 6 hours between meetings and it is a lifesaver–no need to look insane with your roller bags in a client meeting! Like hotels in most places, Hong Kong hotels for the most part will hold your luggage for free, if you’re early to check in or after checking out. Maybe some serious budget hotels may not be able to do this, as space is so cramped in Hong Kong, but this should work most of the time. In both the Central and Kowloon stations of the Airport Express you can check in to your flight up to 24 hours early, thereby relieving yourself from having to lug it around after checking out of your hotel and between meetings and meals. This is an awesome perk when you want to have one last night out on the town before heading home. Hong Kong has world-class transportation. Seriously clean, fast, always on time–they take public transportation seriously. Many get by without ever owning a car in Hong Kong for their entire lifetime. Hong Kong has an amazing metro system called the MTR. There are stops at basically every major spot in Hong Kong, and you probably can walk to your destination within 10 minutes from the closest stop. When asking for directions to businesses, ask which MTR stop it is, but also which exit. The Hong Kong system is pretty detailed with its exits, having them ordered by letter, A, B, C,D, and so on. In addition to the letter, many stations have A1, A2, A3, and up, so make sure you get the letter and the number to be as exact as possible. If you are planning to stay in Hong Kong more than a few days, I would strongly suggest investing in an Octopus card. Strange name, but ultimate benefit. It is used of course for the MTR and bus systems, but it is also accepted at tons of restaurants, 7–Eleven and other convenience stores. You will live off this thing, and it will help you avoid dealing with change–Hong Kong has some heavy, massive coins that will quickly weigh you down. Where to buy: MTR service counter. There are a couple other places to buy it, but it’s best to just buy it at the subway stations. Taxis in Hong Kong are everywhere! Red taxis are seen in the downtown city, while green taxis are in the outer districts. Most likely you’ll only deal with red taxis. They always use the meter without any bargaining needed (many countries’ taxi drivers try to deceive you and not use the meter), so don’t worry about having to haggle or bargain. Taxis are not cheap though, starting the meter at 22 HKD and moving up pretty quickly, if you are taking them around Hong Kong island, from Central to Wanchai should be about 30 to 40 HKD. There is an extremely old tram system on the Hong Kong island that is still rather popular. It runs a couple lines from East to West on the Hong Kong island and you can “hop on and hop off” for only 2 HKD, paying when you exit. You enter from the back of the tram, and when exiting, you pay from the front of the tram with cash or your Octopus card. You will also notice a lot of double decker buses throughout Hong Kong, and these cover all the areas that the MTR may miss, or is often more direct than the MTR. I don’t think a businessperson in Hong Kong for a week will use these; I mainly use these to get to hard-to-reach locations in Kowloon or New Territories. Fits about 15 people on one of these. They help commuters get to various places where the MTR or buses don’t go. Normally stationed by an MTR, you pay a flat rate upon entering and it will make stops where you can hop on or hop off along the way. Newer transportation stations in the New Territories. These are above ground trains that are go around places not covered by the MTR or buses. Most likely you won’t deal with these when traveling in Hong Kong on business. This seems to be the best value for a bootstrapping entrepreneur. They have a few locations in Hong Kong; the better location is in Causeway Bay, but there are also locations in Fortress Hill and Kowloon. Rates start at about 200 HKD a night (28 USD). Check Yess Inn’s site. This is a bit more expensive; rates from 1,000 HKD to 2,000 HKD a night (140 to 280 USD), but you have your own room, there is wifi everywhere, and they have locations throughout Hong Kong. Check out the Butterfly hotel in Central here. I’m afraid to mention this one, but this is a classic backpacker’s destination. Located at 36–44 Nathan Road in Tsim Sha Tsui, Kowloon, Hong Kong. It isn’t on the main Hong Kong island so you’ll need to take an MTR to go downtown, but only takes maybe 15 minutes max. The rates are from 150 HKD, with either shared rooms or your own room. Sometimes you need to do a bit of bargaining, and there will be a lot of hagglers pushing you to go to their hostel (there are about 10 or even more hostels inside this massive “mansion.” Use at your own risk if you want a bit of adventure too; I have a lot of…interesting stories of people I have met there! Hong Kong is a very densely developed place. You may get bored working out of your hotel room, so here are some choices. Obviously there are tons of Starbucks and other cafes to choose from. The problem with this being a longer-term workplace is a lot limit the free wifi or do not provide power outlets, especially on Hong Kong island. You do need to understand their point of view though; rents are insane and they need to get as many customers in there as possible. This is a hidden gem for me. I often have meetings with people in the Holly Brown Coffee in Central on Stanley Street as it has two floors, tons of power outlets and unlimited wifi (except during lunch time, as that is their busy time). Hong Kong has seen a crazy amount of coworking spaces pop up the past couple years. Some are really just re-branded serviced offices, but they will all welcome visitors! You can pay for a day pass or for a week. You’ll get to meet other business owners and get plugged in to the local scene as well. 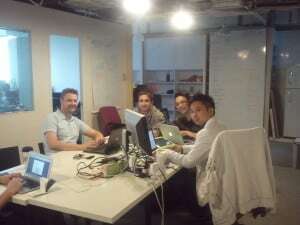 For a full list of them, check out this Coworking directory. There are a bunch of nice parks, and the Hong Kong government supplies free wifi in each park. It may not be a long-term solution as you will need to charge up, but it’s a nice change of pace in the fast-paced city to sit under a tree and catch up on emails between meetings. As I said in the airport section, I have friends who spend a day out in the airport working! It has free wifi and tons of places to sit and work, as well as restaurants. But then again, if you’re going to go there from Central, you’ll have to pay 180 HKD round trip on the Airport Express, so it doesn’t make too much sense unless you live nearby. If you have an HSBC business credit card, can enjoy the lounge and other perks in the HK airport. 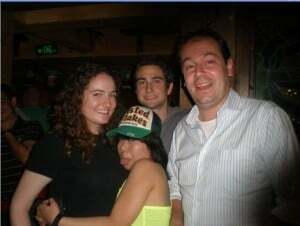 The Hong Kong nightlife is some of the most fun and action packed in the world. You can party until the sun comes up if your heart desires. This can be a massive book by itself, but I will cover a few of the bar districts and highlights. The classic tourist destination. It will be some of the most expensive drinks you have bought, but will be an action packed night with party-goers coming in and out of every nook and cranny. Take exit D2 at the Central station, take a right out of the exit, a quick left and then walk up the hill until you see all the bars and nightclubs. A bit further up the hill after LKF is Soho. It’s known more for fancy small restaurants with food and drinks from around the world. It has a long outdoor escalator that is fun to take to see all the cafes and restaurants up the slope. Pick a place and have your meal and people watch. A couple stops over from LKF in Central is Wan Chai. More beer bars and a bit cheaper, this is where people go to watch sports games and kick back. On the Kowloon side, this is a walking street with a lot of bars and pubs and restaurant cafes. A bit hidden so you may have to ask people when you get out of exit B2 of the Tsim Sha Tsui (TST) MTR station. There are so many places to go in Hong Kong. As a business traveler you may not have too much time, but here are a few that you should try out. This is where you will probably walk after you get off the Star Ferry. It’s located in Tsim Sha Tsui, and is there to highlight Hong Kong’s filmmaking. But my main reason for walking along this path is the amazing view of Hong Kong–best at night! Temple Street is a street located in the areas of Jordan and Yau Ma Tei in Kowloon. The best way to get there is from Jordan MTR exit A. It is well known for its night market and being one of the busiest flea markets. It’s not so busy in the daytime, it’s best to check it out in the evening. There are many Buddhist temples in Hong Kong, but the main sight you will want to see is this Giant Buddha. It’s a 34-meter tall seated Buddha weighing in at 250 tons. You can climb up the 268 steps to reach the platform where the Buddha is seated for some fun photos. There is also an amazing sky tram to get there, or you can hike too. This is a full-day trip from Central, so don’t think you can do this in a couple hours. Also it is not historic; this was made in 1993! Check DiscoverHongKong’s Big Buddha guide here. This is a tricky topic. In Mainland China there is n0 tipping, waiters refuse it. In Hong Kong though, certain restaurants add a mandatory 10% service charge (it should be clearly stated on the menu before ordering). This has been getting more and more common. I am not sure if this is a tip pool for the staff or what, to be honest. But even if there isn’t a 10% service charge added on your bill, the normal custom is to “round up” the bill to the next increment of 10 or 20 HKD. It is common to just leave the change or a 10 HKD bill on the waiter’s check. Honestly, it is still confusing to me, but for the most part you shouldn’t sweat tipping too much in Hong Kong. Considering to move to HK? Check out our guide if I were to move to Hong Kong today. Man, this was the longest blog post I have ever written–I hope it helps! Again, there is so much more to do; this is just scratching the surface, but it’s meant to give you a list of things to do and jump start your first business trip to Hong Kong. All feedback is appreciated by leaving a comment or thank you below–or sharing with your friends visiting Hong Kong! I made this into a nicely formatted PDF that I will email to you. You can print it out or read it off your laptop when you don’t have wifi while traveling! I remember the days of traveling without wifi, it can be brutal! It is worth noting that you can buy the SIM card and reload at any 7 eleven, there is one right on the airport arrivals lounge. Thanks for the inspiration to write this blog post! 4,000 words in 2 days, well 2 mornings. Lots of great tips. Never know about the free phones inside the airport. Sweet. Pretty scary on your first trip to Asia! Thanks for the tip! That is pretty awesome, I remember when bank of America and China construction bank used to have no fees between each other. Think that isn’t true anymore as bank of America sold its stake or a majority of its stake in ccb. 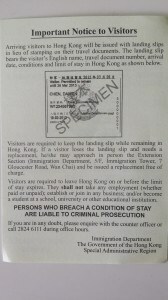 yes, while a lot of scams – the seasoned traveler should be OK in HK compared to most other places. Wonderful post! 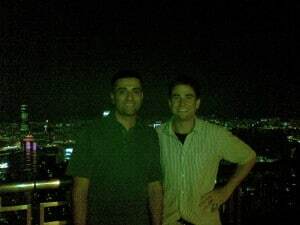 Hoping to revisit Asia very soon and will include Hong Kong for sure. Thanks for sharing!! Thanks so much for the very useful guide! It helps me so much plan my trip to Hong Kong. Keep up with your good work! wow cool that you read this article before coming to HK and then wrote an article of your own – so happy to hear that . A helpful, impressive, motivating to travelling, trustworthy, hats off content i ever found on the internet. Totally handy and loved it absolutely. Thanks a lot for sharing your outstanding experience journey.